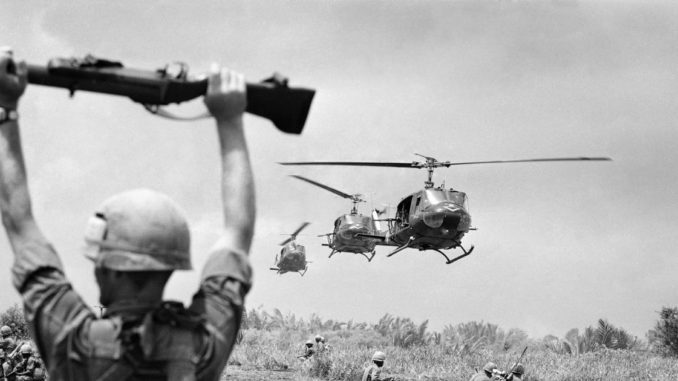 As an emergency measure in response to the 1968 communist Tet Offensive, Secretary of Defense Robert McNamara approves the deployment of 10,500 troops to cope with threats of a second offensive. The Joint Chiefs of Staff, who had argued against dispatching any reinforcements at the time because it would seriously deplete the strategic reserve, immediately sent McNamara a memorandum asking that 46,300 reservists and former servicemen be activated. Not wanting to test public opinion on what would no doubt be a controversial move, Johnson consigned the issue of the reservists to “study.” Ultimately, he decided against a large-scale activation of the reserve forces.